We are engaged in distribution. We understand our purpose, we love and we are able to perform our work. Over the years of our presence in the market of telecommunication and IT equipment, we have gained experience and knowledge that allow us to understand and satisfy the needs of our partners. Our main capital is fair name and reputation of a reliable partner. Working in the line of Consumer (retail) distribution, we supply equipment to our Partners - companies working in IT retail. Each of our clients, starting from the smallest, gets the opportunity to participate in all partner programs aimed at sales promotion. We care about the profitability of your business. Regardless of how large your company and business are, you will receive a product and conditions that will allow you to earn. If you work in the field of IT-retail or plan to start business in this field but are not yet our partner, call us. We do not work in Retail, so we will not compete with you. On the contrary, knowing everything about this business, we will help your Company to become even more successful. Another part of our work is Corporate (project) distribution. We are open to our Partners - Companies working with corporate clients in the field of system integration, dealing with installations, as well as for companies whose business is involved in contests, tenders for procurement of IT and telecommunications equipment. Keeping the principle of classical distribution, we do not participate in tenders, we do not submit commercial offers for the final customer. Realizing the importance of safety of commercial information, we ensure confidentiality, protection of the Partner's projects, for which we work together. We are ready to provide consulting support and assistance in choosing a solution for the project. The status of the distributor and close relationship with the equipment manufacturer allow us to offer special project-oriented prices. We offer correct terms of equipment delivery and take responsibility for observance thereof. Setting a value upon your time and respecting your business, we are always open to dialogue, where we can always find the right solution for any task. We are certain about this. 3M is continuously finding new ways to make amazing things happen. Innovation has always been fundamental to our success. 3M gives its people the scope and freedom to think and imagine because we believe that nothing should stand between anyone and a brilliant idea. Innovative 3M technologies range from the adhesives and abrasives with which we have been associated for more than 100 years, to some life-changing new breakthroughs in, e.g. nanotechnology and light management. The company STN is the official distributor 3M in Kazakhstan. By integrating user policy enforcement, wireless optimization features, social media insights, and hotspot billing, empowering businesses with new opportunities for value-added services and Wi-Fi monetization. Our mission is to strive for excellence in our products while building strong, lifelong relationships with our customers and partners. The company STN is the official distributor 4ipnet in Kazakhstan. The company STN is the official distributor Acer in Kazakhstan. Over the past decade, ACTi has gradually expanded the range of products and services to be able to provide end-to-end solutions for different markets, such as retail, mobile vehicle, education, residential, and much more. The company STN is the official distributor Acti in Kazakhstan. The company STN is the official distributor ADATA in Kazakhstan. For nearly 30 years, Allied Telesis has been delivering reliable, intelligent connectivity for everything from enterprise organizations to complex, critical infrastructure projects around the globe. Allied Telesis is recognized for innovating the way that services and applications are delivered and managed—resulting in increased value and lower operating costs. The company STN is the official distributor Allied Telesis in Kazakhstan. 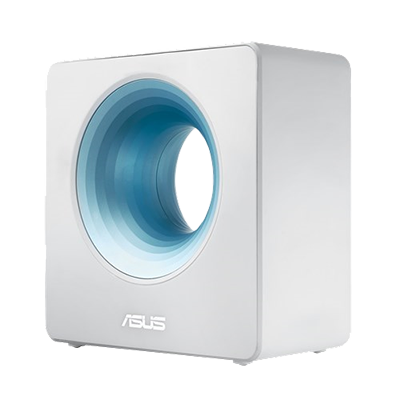 The company STN is the official distributor ASUS in Kazakhstan. The company STN is the official distributor Aurora in Kazakhstan. BenQ Corporation – a world-leading human technology and solutions provider driven by the corporate vision of “Bringing Enjoyment ‘N’ Quality to Life” to elevate and enrich the aspects of life that matter most to people today – lifestyle, business, healthcare and education. The company STN is the official distributor BenQ in Kazakhstan. The company STN is the official distributor BQ in Kazakhstan. The company STN is the official distributor Brother in Kazakhstan. The company STN is the official distributor Changhong in Kazakhstan. CTC Clatronic International GmbH is the owner of the CLATRONIC trademark and is a member of Clatronic-Groupe (Germany). The company headquarters is in Kempen (Germany), not far from Dusseldorf. The company's products are distributed both in the domestic market of Germany and exported to 40 countries of the world. All household appliances manufactured under CLATRONIC trademark are manufactured only from high quality materials and components and comply with the world safety standards. Environmental and hygienic quality control of Clatronic products is carried out in the laboratories "Dr. Wessling-Gruppe" (Altenberge, Germany). The company STN is the official distributor Clatronic in Kazakhstan. D-Link Corporation Incorporated in 1986 Headquartered in Taiwan, is a worldwide leading designer, developer and manufacturer of networking and connectivity products for mass consumers, small to medium business and enterprise market segments. D-Link Corporation has grown to gain a strong foothold in over 100 countries. D-Link Corporation is listed on the Taiwan Stock Exchange and regulated by the Financial Supervisory Commission. D-Link Corporation has more than 34 subsidiaries worldwide in various jurisdictions including the United States of America, the United Kingdom and Singapore. D-Link Corporation is a global leader in designing, manufacturing and marketing of advanced networking, broadband, digital, voice and data communications solutions. D-Link continually meets the global networking and connectivity needs of digital home consumers, small office professionals, small- to medium-sized businesses, and enterprise environments. The company STN is the official distributor D-Link in Kazakhstan. The company STN is the official distributor Dahua in Kazakhstan. Defender is an international company providing a broad range of appliances for office and home use; products meeting needs and demands of a great lot of users. Application of the most recent technologies, high European standards and extensive production capacities allow us to top our product segments. Defender manufacturers, both in Asia and Eastern Europe are certified according to international quality standards. 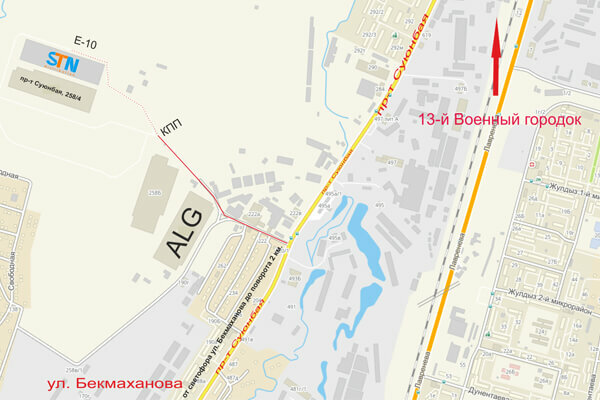 Defender headquarters are located in Tallinn and Moscow. Our representative offices are located all over the world: in China, in Eastern Europe, in Ukraine, in Belarus and in Kazakhstan. Our distribution network is active in more than five hundred cities of European and CIS countries. It is easy to communicate with Defender. Defender products are easy to buy and pleasant to use. Defender is also easy to sell! The company STN is the official distributor Defender in Kazakhstan. Delta Electronics Inc was established in 1971 and is headquartered in Taipei, Taiwan. Delta is the world’s largest provider of switching power supplies and brushless fans. The company STN is the official distributor Delta in Kazakhstan. The DKC international company, established in August 1998, has gained a strong leading position on the global electrotechnical market. Rapidly developing its production and introducing new high performance technology, DKC today is among the largest producers of cable management systems and low-voltage equipment in Russia and in Europe.</p> <p>At the moment manufacturing and warehousing complexes of the company are located in Russia, Ukraine, Italy, Hungary and Romania. Regional representative ofﬁces of the company operate in Russia, CIS countries and abroad. The products are being delivered to Latin America, West and Central Africa. The aim of DKC is to provide the latest industry solutions and high-quality products to the global electrotechnical market. Over the past few years the DKC company has made great progress and is constantly striving for new achievements. DKC has managed to collect an impressive list of its own patents, that would enable the DKC company to acquire the status of an innovative producer. Every year the company expands the product range with a view to completely meet customer&rsquo;s needs. Having at disposal its own design and development centre, DKC creates specialized products for speciﬁc needs of the market with the application of the latest technology in the process of their production. The company STN is the official distributor DKC in Kazakhstan. In March 2013, the local smartphone brand in Spain caught the eye from an investor from China for its state-of-the-art features. Not before long, XinChao - the CEO of Shenzhen Kavid Communication Apparatus Co. Ltd.（also named Shenzhenshi Kaiweide Tongxun Shebei Youxian Gongsi), a Shenzhen Communication equipment manufacturer, took charge of DOOGEE. Specialized in high performance /low cost and fashionable design helped DOOGEE become popular with youth throughout the country. Meanwhile, the brand awareness was expanded broadly after the sponsorship of Spanish football team Villarreal C.F in Europe. The company STN is the official distributor Doogee in Kazakhstan. EnGenius, an industry expert in wireless communications and radio frequency (RF) technology for over 18 years, delivers feature-rich, long-range, business-class solutions for voice and data that empower your mobility. The versatility and performance of the company’s solutions increase productivity and maximize the return on investment for small to mid-size organizations and large residences. EnGenius’ portfolio of networking solutions includes the industry’s most comprehensive line of managed and unmanaged wireless solutions, Gigabit switches, and IP-based surveillance systems that deliver long-range connectivity, robust feature sets, and versatility for class-leading price/performance value. The company STN is the official distributor EnGenius in Kazakhstan. The company STN is the official distributor GoPro in Kazakhstan. Since launching our first surveillance camera in 1991, Hanwha Techwin has focused on the video surveillance business for 25 years. We've built a full line-up of video surveillance (CCTV) products from cameras and storage devices to integrated control and intelligent video analysis software based on top-tier optical design, manufacturing, and image-processing technologies. Not content to rest on our laurels, we're continuing beyond our position as the leader in the Korean domestic market to expand into the global video surveillance market. Hanwha Techwin is committed to becoming a world-leading total security solutions provider with solutions tailored to each customer, developing high-resolution equipment and utilizing intelligent technologies to thwart advances in crime and effectively respond to emerging technologies. The company STN is the official distributor Hanwha Techwin in Kazakhstan. Hikvision is the world’s leading video surveillance products supplier. The company STN is the official distributor Hikvision in Kazakhstan. Together with telecom carriers, Huawei has built over 1,500 networks, helping connect over one-third of the world's population. Together with our enterprise customers, we employ open cloud solutions and agile networks to drive efficient operations and agile innovation in domains like Safe City, finance, transportation, and energy. With our smart devices and smartphones, we are improving people's digital experience in work, life, and entertainment. The company STN is the official distributor Huawei in Kazakhstan. The company STN is the official distributor JUKI in Kazakhstan. In 1987, Kingston® entered the market with a single product. Founders John Tu and David Sun fulfilled a severe shortage of surface mount memory chips with a memory module that would serve to redefine industry standards for years to come. The company STN is the official distributor Kingston in Kazakhstan. Legrand is the global specialist in electrical and digital building infrastructure and provides a range of several hundred thousand catalog items subdivided into 7 major product categories, each under the responsibility (product marketing, research and development, manufacturing) of one of 7 Strategic Business Units (SBUs). Legrand offers a comprehensive range of products and solutions operating as systems tailored to commercial, residential and industrial markets—respectively 51%, 42% and 7% of the Group's 2016 sales. From control and connection interfaces to cable management, power distribution and voice-data-image (VDI) systems distribution, Legrand provides a host of solutions designed to manage lighting, energy, networks and building access. The Legrand catalog features a wide choice of several hundred thousand catalog items in over 90 product families. The company STN is the official distributor Legrand in Kazakhstan. The company STN is the official distributor Lenovo in Kazakhstan. The company STN is the official distributor LG in Kazakhstan. The company STN is the official distributor Meizu in Kazakhstan. The company STN is the official distributor Panasonic in Kazakhstan. Plantronics has active and collaborative partnerships with the leading UC providers for enterprise, including Avaya, Cisco, IBM and Microsoft, as well as consumer VoIP providers to ensure seamless interoperability with our product portfolio. The company STN is the official distributor Plantronics in Kazakhstan. Playme is a Russian manufacturer of automotive electronics. At the moment, the brand is in the top 3 manufacturers of automotive electronics, according to Yandex MARKET resource Brand radars are produced in the territory of South Korea, and DVRs are produced only at the best factories in China ensuring maximum attention to details and excellent assembly quality. The company STN is the official distributor Playme in Kazakhstan. Princess House hold Appliances BV, a Dutch company specializing in small household appliances, was created by Ed Ouborg, the first owner, in 1994. Due to its very special approach "Business is entertainment", the company has grown rapidly. Princess is the world's largest supplier of small chrome household appliances. Distributors in more than 75 countries and around 100 employees every day contribute to the further development of Princess. The company STN is the official distributor Princess in Kazakhstan. Shenzhen Rapoo Technology Co., Ltd., an expert in wireless peripheral technology, is dedicated to providing global customers with high-performance and high-quality wireless peripheral products. With its first-class industrial design and international-standard quality, Rapoo has been ranked No. 1 in China’s wireless keyboard and mouse market for two consecutive years, making it the leading supplier of wireless peripherals. Rapoo was established in 2002. After more than a decade of development, Rapoo has strong R&D capabilities and advanced manufacturing management. Rapoo is winning the favor of many domestic and global customers. Rapoo launched its domestic market strategy in 2007 with the introduction of its own brand - RAPOO. The company adheres to a management philosophy that focuses on ”people-oriented, scientific and technological innovation,” takes meeting customers’ demands as motivation, has built a sound after-sales service system, fully developed multi-channel advantages and achieved a harmonious win-win situation among customers, employees, shareholders, suppliers and partners. Currently, with its expansion in the global market and excellent product quality, Rapoo has won praise from dozens of Chinese and international industry media, and received nearly 100 rewards. The company STN is the official distributor Rapoo in Kazakhstan. The Ricoh Group has business operations in approximately 200 countries and regions of the world. Our portfolio ranges from products designed to help people interact with information— including office imaging equipment (MFPs, printers, etc. ), production printers, supplies, digital cameras and industrial products such as thermal-based media, semiconductors and factory automation cameras—to services and solutions such as Managed Document Services and IT solutions. In addition to technology, the Ricoh Group is known for its customer-centric approach. As a responsible global citizen, we are also working proactively to build a sustainable society through our business activities. The company STN is the official distributor Ricoh in Kazakhstan. Ritmix is ​​a widely known Korean brand of portable technology. The Ritmix brand was created in the early 2000s by a group of young Korean engineers. The first products released under the Ritmix brand were mp3 players. They were followed by video players, headphones and other devices. A few years later, the Ritmix brand expanded its field of interest to a nearly full range of digital electronics. Now in the catalog of the brand you can find e-books, car DVRs, game consoles, as well as other useful smart electronics. Modern gadgets should be available to everyone - Ritmix believes. The company STN is the official distributor Ritmix in Kazakhstan. Samsung, South Korean company that is one of the world’s largest producers of electronic devices. Samsung specializes in the production of a wide variety of consumer and industry electronics, including appliances, digital media devices, semiconductors, memory chips, and integrated systems. It has become one of the most-recognizable names in technology and produces about a fifth of South Korea’s total exports. The company STN is the official distributor Samsung in Kazakhstan. SCJAM is a leader in the Action Camera market because SJCAM constantly evolves to satisfy market demands. Assembling a camera is simple. The best quality components and attention to detail are essential to make a quality action camera. Prideing itself not only on creating awesome action cams, but also for fully supporting them. SJCAM stays full committed to after-sales support. SJCAM also releases new firmware frequently upgrading SJCAM features. The company STN is the official distributor SJCAM in Kazakhstan. The company STN is the official distributor Skyworth in Kazakhstan. Sony Corporation is a transnational corporation headquartered in Japan, originated in 1946. Today, Sony Corporation is one of the operating units that are part of the holding company Sony Group. Sony Corporation is engaged in the production of household and professional electronics, gaming consoles and other high-tech products. In addition, Sony is one of the world's largest media companies, owning the record label of Sony Music Entertainment, the Columbia Pictures studios and Tri Stars Pictures, as well as the complete movie archive of MGM (jointly with Comcast). The company STN is the official distributor Sony in Kazakhstan. The company STN is the official distributor SVEN in Kazakhstan. TECHPOINT cleaners are the leading products in the market of consumer electronics accessories that make everyday life easier, make caring for the techniсal equipment more productive and more pleasant. TECHPOINT dates back to 1988, when the company started to produce premium quality products using natural materials. During the times of plastic popularity, widespread use of chemical substitutes - back at that time TECHPOINT aspired to offer to the consumer original "genuine" products receiving high estimates of our clients over the years. The company STN is the official distributor Techpoint in Kazakhstan. teXet is the largest supplier of telephones in Russia. More than 80 models of phones for home and office are available in the Company's product range. The company specializes in the manufacture of telephony (DECT and wired telephones) and is aggressively gaining firm positions in the wireless solutions market. The first DECT phone with a color display, model TX-D7100, was released under the teXet brand. According to GFK, teXet ranks third in mobile phone sales in Russia. Particularly successful are niche products - specialized phones for the elderly, "flip pjone" form factor and telephones with IP-67 and IP-68 protection class. The company STN is the official distributor teXet in Kazakhstan. Neffos, created by TP-Link in 2015, signified the beginning of our long-awaited entrance into the smartphone market. With the current accumulation of technology in the communication industry, Neffos smartphone strives to make the most human-oriented personal mobile device in the new digital era, and strives to seamlessly connect people to each other, and to the world around them. The company STN is the official distributor TP-Link in Kazakhstan. Founded in 1922, Tripp Lite is a dynamic, forward-thinking company with a strong commitment to the success and satisfaction of its business partners and customers. For more than 95 years, our company has been meeting and mastering the challenges of an ever-evolving business environment. Today, Tripp Lite offers more than 4,000 products, ranging from network-grade UPS systems to cables for every application. On the desktop, in the data center, wherever power and information flow, products and services that solve customers' problems and meet their highest expectations are the hallmarks of a Tripp Lite solution. The company STN is the official distributor TrippLite in Kazakhstan. The company STN is the official distributor Tristar in Kazakhstan. The company STN is the official distributor Tritek in Kazakhstan. The company has more than 20 years of experience in the field of development and production, creating only quality products for all types of users. More than 200 engineers monitor production at each stage with a view to ensuring high quality of products and reducing the amount of wastes. For reliable operation of the UPS, the equipment uses rechargeable batteries from well-known LEOCH and YUASA manufacturers. VOLTA constantly strives to improve and create more efficient equipment that will not only simplify your work, but save your money as well. 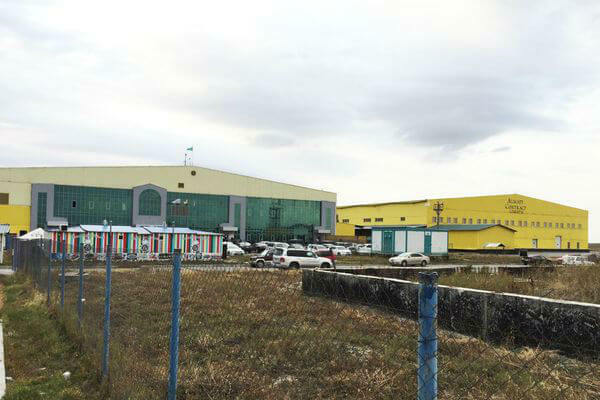 With a view to enhancement of operating efficiency and new technologies implementation, the development department is located directly at the plant. VOLTA guarantees high quality of its products all the time. VOLTA creates and introduces new technologies, which are constantly in demand at the market of backup power devices, while expanding the range of manufactured equipment. Creation of quality products is a key factor for fueling the company growth. Therefore, VOLTA is focused on design of innovative and reliable products for customers in terms of constant development and investments in the design center. The company STN is the official distributor VOLTA in Kazakhstan. ZTE Corporation is a leading global provider of telecommunications equipment and network solutions. Through its network of operators across 140 countries, the company delivers innovative products and business solutions. It connects global customers via voice, data, multimedia and WLAN. Founded in 1985, ZTE is listed on both the Hong Kong and Shenzhen Stock Exchanges and is China’s largest listed telecoms equipment company. ZTE has the industry’s most comprehensive product range and end-to-end solutions, covering virtually every telecommunications sector, including wireless, access&bearer,VAS, terminals and professional services. The company STN is the official distributor ZTE in Kazakhstan. All small, medium, national and global companies are equally important for us because they all help us in achieving success at a certain level of the market. Therefore, the principle of client-oriented approach is professed in respect of everyone, we provide advantages depending on the assigned partner status. We support our partners and offer them opportunities for development - after all, their growth increases the capacity of our market. We offer competitive prices, being a direct supplier, therefore our partners do not need to find cheaper offers. The strategy of our company is to ensure convenience of working with us, in order to achieve it we are ready to consider non-standard conditions and adhere to the customer-facing optimal supply chain. We offer discounts, benefits and special payment terms to long-standing partners. We actively select the assortment to provide the partners with the most popular positions - in the required quantities and in different price categories. There are potential customized supplies, flexibility of the approach applied not only to the financial conditions, but also to the operating policy. With respect to special merchant quantities and project deliveries we provide the opportunity to work with orders made in advance and deliver goods within short timeframes, reliably fulfilling all of our obligations. Special programs have been implemented for distributors, resellers and dealers. Attractive partner programs, profitable schemes of sales development and, of course, marketing, information and technical support in the required volume are available for all our clients. Seminars, certifications, annual partner conferences are held. Registration of orders and receipt of financial information are possible through the dealer portal. We take part in international specialized exhibitions and contribute to the promotion of products in the market of Kazakhstan. 1. Principles of work - individual approach and flexibility. 2. Assortment - a wide range of equipment and maintenance of current availability in the warehouse. 3. 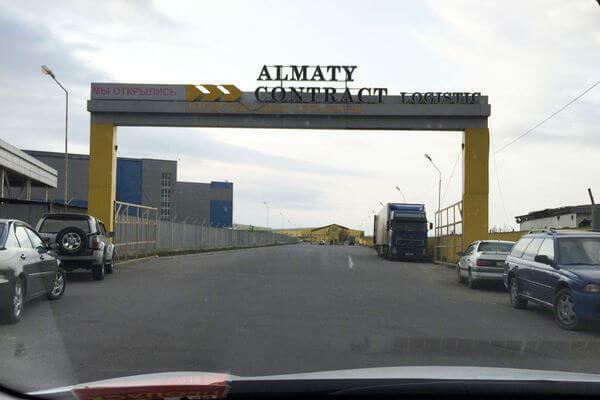 Logistics - efficient logistics, prompt delivery, delivery through the territory of Kazakhstan. 4. Partner support - information, technical and project support of partners by qualified personnel of the company includes demonstration, testing, conducting trainings and seminars, as well as partner staff training. 5. Marketing support - support for product promotion. Knowledge is the main capital in the information world. And even more so in the field of IT-technologies, which provide the very existence of the information society. The requirements to operators of this market, to their qualification and knowledge of the latest achievements and technologies in this field are very high. Therefore, competence of our employees and specialists of partner companies is guarantee of competitiveness. Training seminars and other presentations and educational events are held regularly at the premises of our company. We regularly organize seminars on the experience of implementing IT projects, new methods and software technologies for solving practical problems in various business sectors (banks, telecommunications, trade activities, logistics, office infrastructure, etc.) for our Clients and potential Customers as part of the information support program. We organize conferences with participation of representatives of manufacturers on an annual basis. Discussion of the results and coverage of the prospects for the development of the telecommunications equipment market invariably cause great interest among industry professionals. We are always glad to see you at our events. Information on forthcoming seminars, trainings and training programs will be posted on the Company's news. Check for updates! The product portfolio includes more than 15 000 items from 50 leading world manufacturers including Lenovo, Huawei, Panasonic, Xiaomi, Sony, Acer, Samsung, LG, Meizu and others. The company's offices are located in Almaty and Astana, which allows to cover all regions of the country by 100 percent. A thorough knowledge of the needs of the Kazakhstan market and prospects combined with many years' experience allows us to be always ahead of competitors, to work smart with any product and develop individual and unique business solutions for our partners. A wide distribution channel provides the opportunity to commercialize a new product on a large scale and to make it popular. Availability of the company's own warehouse allows to process orders quickly and efficiently and to deliver them to customers in the shortest time possible. Today the team of ST Networks is the first-class professionals developing the distribution market of Kazakhstan staying strong in the pursuit of their goals. Our managers are always ready to provide informational, technical or project support to partners.